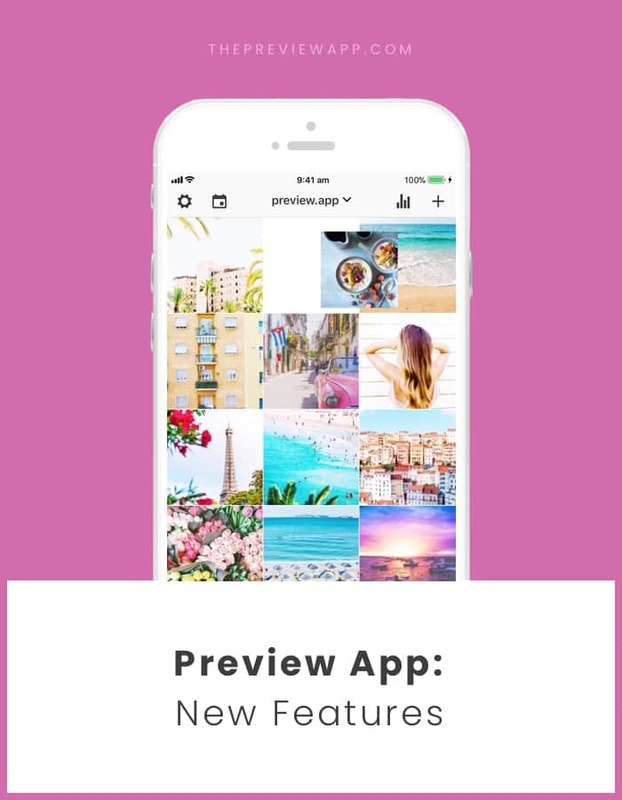 New Features in Preview App! There are 9 new features in your Preview app. The biggest one? The new Preview for Teams! We are very excited to finally share this big new feature with you and we hope you’ll have fun planning your feed together. You can still use Preview for free and upload as many posts as you want for free. Do you currently have a Preview Pro subscription? Did you get it before August 2018? If so, please read this: We don’t support the old Pro subscription anymore. Which means that if you uninstall Preview, cancel the subscription or change phones, you can’t get it back. This is a big change we had to make in order to introduce the new team, multi-devices and backup features. However we still support the old Pro subscription. 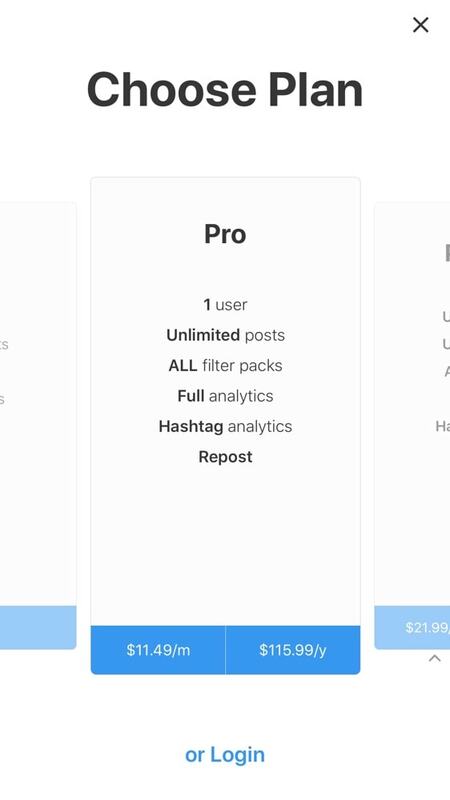 If you currently have the old Pro subscription, you get access to all the new Pro account features (not the Premium ones) and can continue to add as many Pro accounts as you want for Free. When you add another Instagram account, make sure you select the Free plan (not Pro or Premium). It’s a Free account, but all the Pro features will be unlocked. Once you uninstall Preview, cancel your Preview Pro subscription or change phones, you will not be able to renew it again. You will need to get the new Preview Pro plan. What is the new Preview Pro plan? 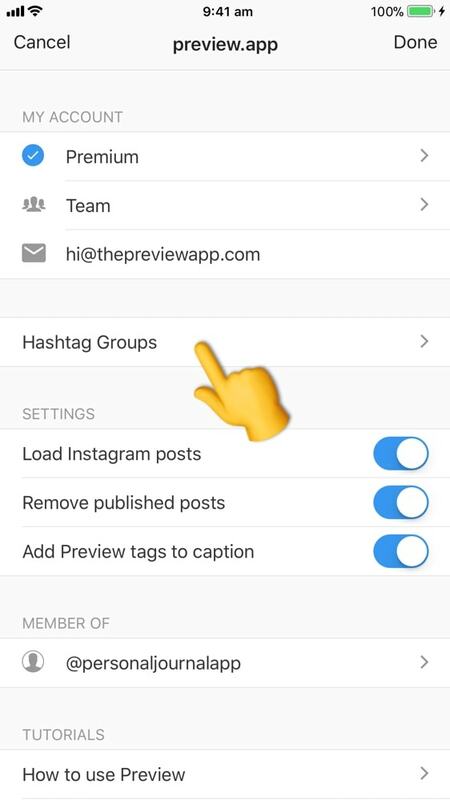 You will need to get a Preview Pro (or Premium) subscription for each extra Instagram account you want to manage in Preview. 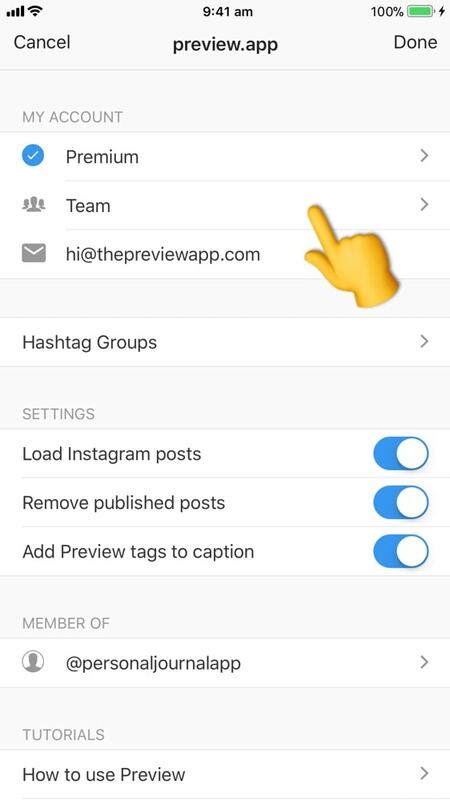 This is how it works: Preview allows you to manage one Instagram account for free. If you want to manage another Instagram account, you will need to get a Pro (or Premium) plan. There is no more “Unlimited Accounts” feature available under the new Preview Pro plan. 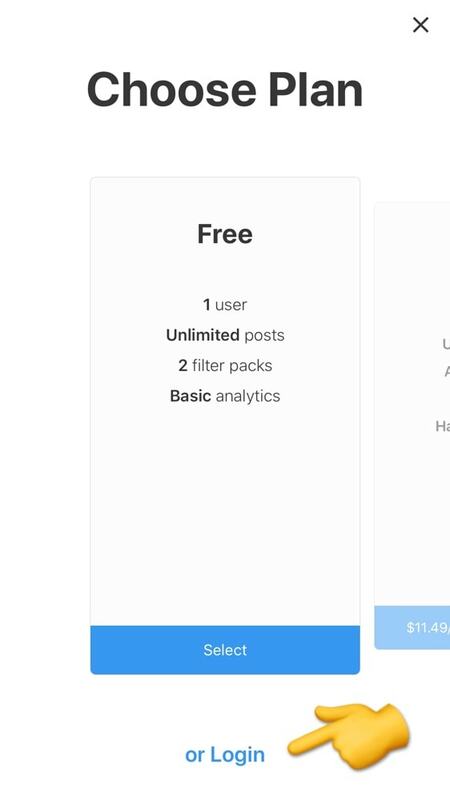 You will still have access to all the other features: all the current and future filter packs, full analytics, hashtags analytics and repost. What about the new Premium plan? Want to upgrade to a Premium plan? Click here to see our quick tutorial. We are so excited to introduce these new features in Preview! Many of you work with a team and wanted to be able to plan your feed together, from different phones, at the same time. Some of you also wanted to synchronize your Preview feed with your other phones or tablets. Now you can! Keep scrolling to see the new team features in action. Do you want to share your Preview feed with other people? If you don’t want to share your Instagram password, add people as “Team Members” (more about this below). You can share your Preview feed with other people, using one Premium subscription only. Your team mates don’t have to get any additional subscriptions in order to access your Preview feed. Ok, so how can you share your Preview feed? If you don’t mind sharing your Instagram password, all you have to do is tell the person to login to your Instagram account on Preview. See this guide on how to share your Preview feed with your team. Maybe you just want someone to view your feed? Or maybe you just need someone to plan your feed for you? If that is the case, you can invite someone as a “Team Member”. Edit: Do you want this person to edit your photos, rearrange your posts, write captions? Analytics: Do you want this person to see your analytics? Do you want to see your Preview feed on your phone and on your tablet too? If you have the Premium plan, you can also access your Preview feed on your other devices. Simply login to your Instagram account on another device. All your posts, hashtags and features will load on your new phone. What happens if you lose your phone? Someone steals it? Or it breaks down? Or you get a new phone? 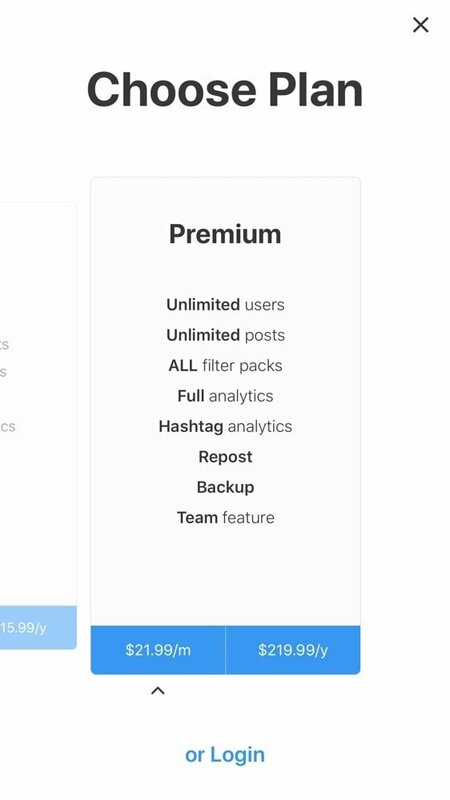 The Premium plan also automatically backs up your Preview account. So if anything happens, just login to your Instagram account on your new phone and all your posts, hashtags and features will reappear. We are so excited about this new feature too! Now you can drag and drop posts in between each other, instead of swapping them. If you miss the old swapping feature, simply select the two photos you want to swap and press on the “swap” icon. 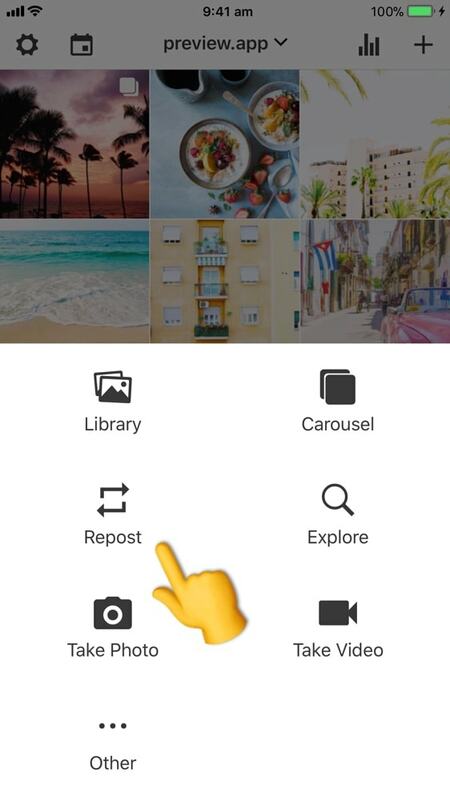 If you have a Pro or Premium plan, you can repost other people’s Instagram photos, videos and now albums! We added more new hashtag groups in the Hashtag Finder! There are new hashtags for planners, bullet journalists, and businesses. Leave a comment below to let us know what other hashtags you would like us to add in the app. And finally, there’s a new way to manage your hashtags and hashtag groups thanks to the new Hashtag Manager. 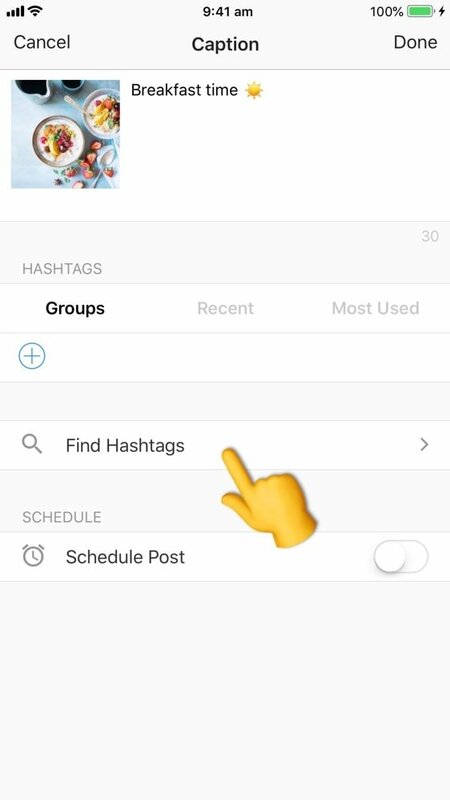 The Hashtag Manager is a separate section in the app just for you to manage your hashtags and hashtag groups. We hope you are excited about these new features too. If you have any questions, please send us an email. Until next time, have fun planning your feed!